This is a game and book series based on some characters that, believe it or not, started in Dungeons & Dragons about 20 years ago. Book one of the series is here now! Get all 11 stories, plus original artwork. Then go play the game. Each story is about the world of Milton the Wand-Making Magician and his apprentice Duncan. 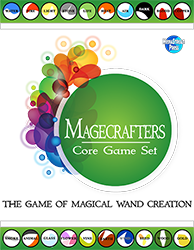 Join them as they gather rare supplies to build magical items. Learn the rules of wand-making. 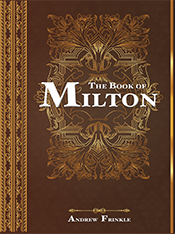 This game has been released as a companion for the Magecrafters Book Series, starting with the forthcoming Book of Milton.